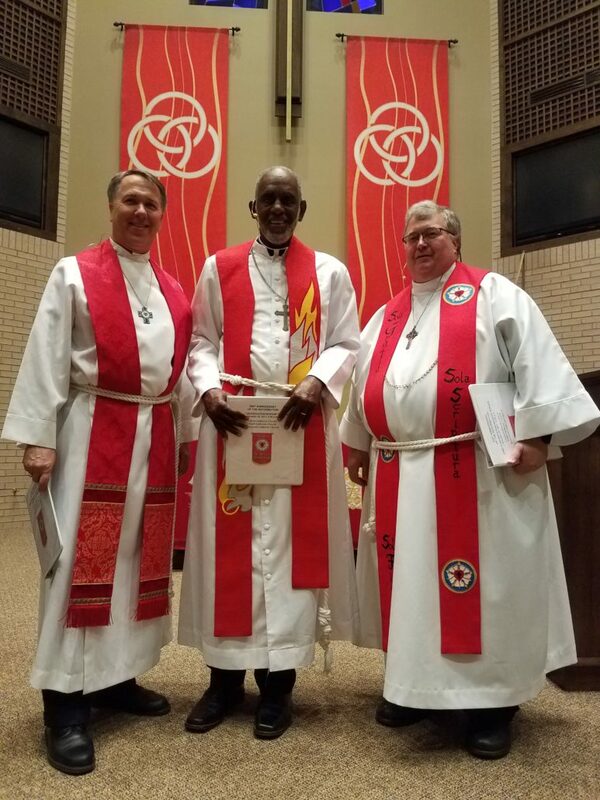 Shreveport/Bossier congregations celebrated the 500th anniversary of the Reformation with a joint celebration communion service on Sunday, October 29th, at Immanuel Lutheran Church in Bossier City, LA. 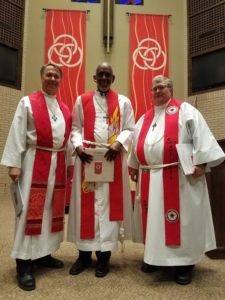 With special music provided by all three congregations, the pastors each focused on one of the three “solas” – grace alone, faith alone, and Scripture alone. The service was followed by an enormous potluck dinner in the church fellowship area. Pictured (left to right) are Rev. Dr. Mark Koch (Immanuel – Bossier), Rev. Michael Shannon (Faith – Shreveport), and Rev. Perry Culver (Christ – Shreveport).